When you are practising your Labrador Retriever training techniques and confidently say "sit" does your Lab give you that “there’s no way I’m going to do what you say” look? Or, When you’re taking him for a walk, does he tug and pull and make you half run to the park? If the answer is "yes" then you need to learn some dog training techniques. They are easy to learn, harmless both to you and your canine friend and will help train your dog to listen to what you have to say to him. There is one dog training technique which I have tried and tested and it is great. It’s called the “Nothing in life is free” technique. This technique can also work wonders with spouses and children! It basically works on the fact that nothing is free, your Lab has to do something to get something in return. For example if he wants food he has to remain seated until you make his dinner, or if you want to talk him for a walk then he has to lie down until you put his leash and collar on. These training techniques all are based on the fact that your dog will realise that to get what he wants he has to do what you are telling him to do. What if he doesn’t do it? Walk away. Don’t shout at him or keep trying if he doesn’t listen just ignore him and walk away then about 5 minutes later go back and try again. He soon comes to realise that you are in charge and he has to do what you say to get what wants. When dogs are born they usually have siblings and their mother is the “Leader of the pack”, when a young Lab leaves his mother he starts to think that he is free and can do what he wants. When he first joins a family he starts to act dominant. He tries to be the pack leader of the house. You can’t let him gain this position you need to show him through your Labrador Retriever training techniques that humans are the head of your house not the dog. He does not have to be aggressive to get what he wants. Sometimes dogs use the sympathetic approach using their puppy dog eyes. This is just another attempt at trying to get higher in the dominance hierarchy and you can’t let them get ahead of you. When it comes to kids dog’s see them more as playmates than masters as children can get down to their height and play with them, under adult supervision when your child can star to use dog training techniques so they can show the dog that when they ask him to do something he has to listen to them, not just listen to you. 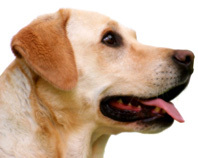 Those few Labrador Retriever Training techniques are extremely efficient and very simple to carry out, the training doesn’t even seem like training it just requires repetition and you dog will soon catch on that nothing in life is free!